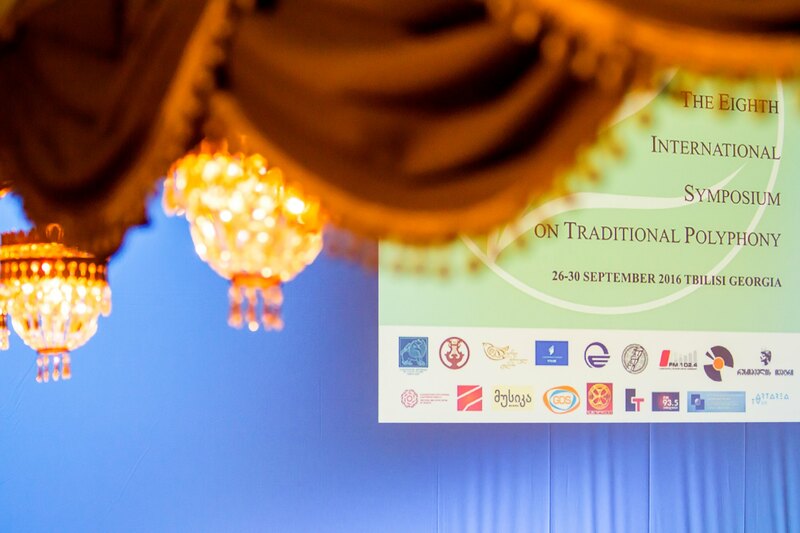 On 30 October-3 November, 2018 Tbilisi State Conservatoire hosted the 9th International Symposium on Traditional Polyphony held by the Conservatoire, The International Centre for Georgian Folk Song, and Folklore State Centre of Georgia with the financial support of Georgia Ministry of Education, Science, Culture and Sport, under the patronage of President of Georgia. 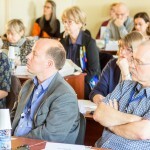 In this section the interested reader wiil find some information about the special conferences, symposia and seminars dedicated to the problems of traditional vocal polyphony. Of course, plenty of papers on different aspects of traditional polyphony have been delivered at countless ethnomusicological conferences all over the world, but here we discuss only the scholarly meetings that were fully dedicated to traditional polyphony. All the scholarly meetings discussed here had international participation. Conferences, symposia and seminars on traditional polyphony, as we am aware, were organized in different countries from the 1960s, and became particularly widespread from the 1980s onwards. In this review we shall mention only the conference title, place, time, organizing body, names of the participants, countries they represented, and the titles of their papers. Some conference and symposia materials were not published at all, some were published as brief abstracts only, some were published as extended abstracts (from 2 to 4 pages), and some were published as collections of full papers (some even in more than one language). As we know from all of these scholarly meetings, only one has been organized in Africa (symbolically, the very first one in 1966), and one in Southeast Asia (in 2002). Most of these conferences, symposia and seminars were organized in Europe. No such scholarly meeting dedicated to traditional polyphony has been so far organized in North and South America, or Australia. Scholarly meetings in this review are organized in chronological order. With the financial support of the Georgian Ministry of Culture and Monument Protection and Rustaveli National Scientific Fund, Tbilisi State Conservatoire, The Folklore State Centre of Georgia and the International Centre for Georgian Folk Song holded 8th International symposium on traditional polyphony at Tbilisi State Conservatoire. The Symposium was held under the patronage of Giorgi Margvelashvili, President of Georgia. Among the participants of the 8th Symposium were 22 scholars from 21 countries of all 4 continents, including 15 Georgian researchers. Concerts of folk polyphony, held at the Grand Hall of State Opera House of Georgia, Recital Hall of Rustaveli Theatre and Recital Hall of the Conservatoire, add particular colour to the Symposium’s scientific sessions. 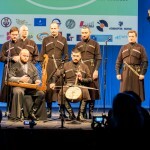 The concerts were held with the participation of Georgian and foreign performers of Georgian polyphony, family ensembles, and ensemble Concordu Lussurzesu from Sardinia. At the symposium were presented two films by Renato Morelli (Italy): “Two Generations of a Cuncordu Singing During Holy Week in Cuglieri (Sardinia, Italy) and “Mravalzhamier: a Singing Journey in Svaneti (Georgia) with Pilpani Family and Melbourne Georgian choir” and the film by Hugo Zemp (France) and Nona Lomidze (Austria/Georgia) “Table Songs in Kakheti”. When music is lively made, it is an interaction between behaviours put in place by distinctive persons on the basis of shared performative rules. Far from being an anodyne and faithful reproducer of sounds, every participant in the performative act is what he/she makes: he/she coincides with the vocal or instrumental sound he/she produces. As such, every participant in a performance is a soundful body who manifests his/her singular musicalitymore or less evidently and consciously, according to the shared music mechanism, to the circumstances and the purposes of the performance, on the basis of his/her music skills, background, taste, preferences and so forth. This is particularly true in multipart music practices which can be interpreted as conscious interactions between different sound identities. 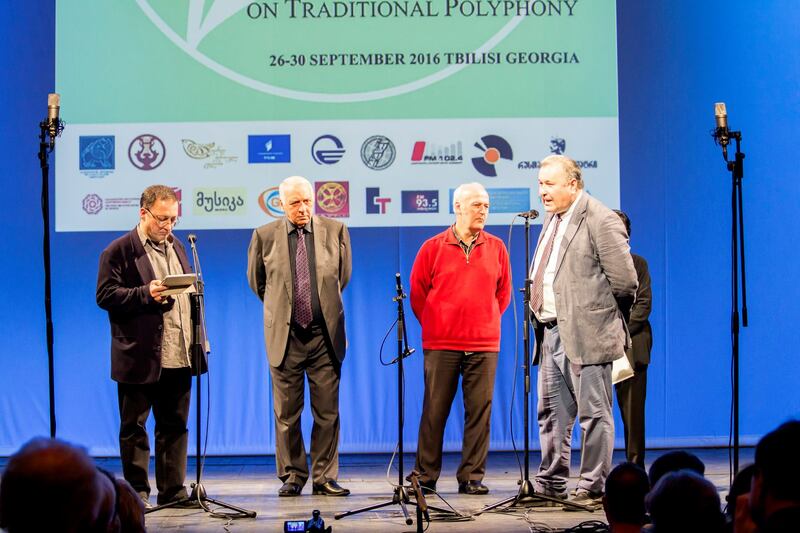 The Seventh International Symposium on Traditional Polyphony was held at Tbilisi State Conservatory from September 22-26, 2014. A series of concerts of polyphonic singing from different traditional cultures were running parallel to the conference. 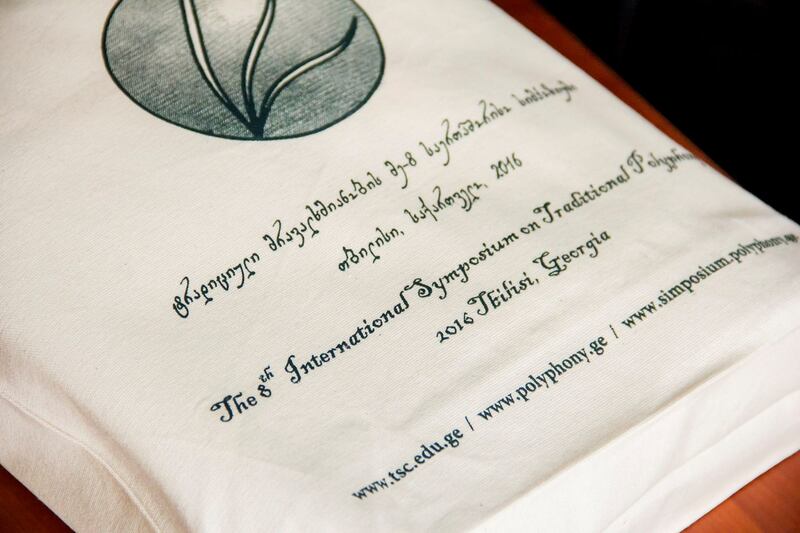 Full texts of the papers (in English and Georgian) were published in 2015 (The Seventh International Symposium on Traditional Polyphony. Proceedings. Edited by Tsurtsumia, Rusudan and Jordania, Joseph. International Research Center for Traditional Polyphony of Tbilisi State Conservatoire. Ministry of Culture and Monuments Protection. Tbilisi: 2015). 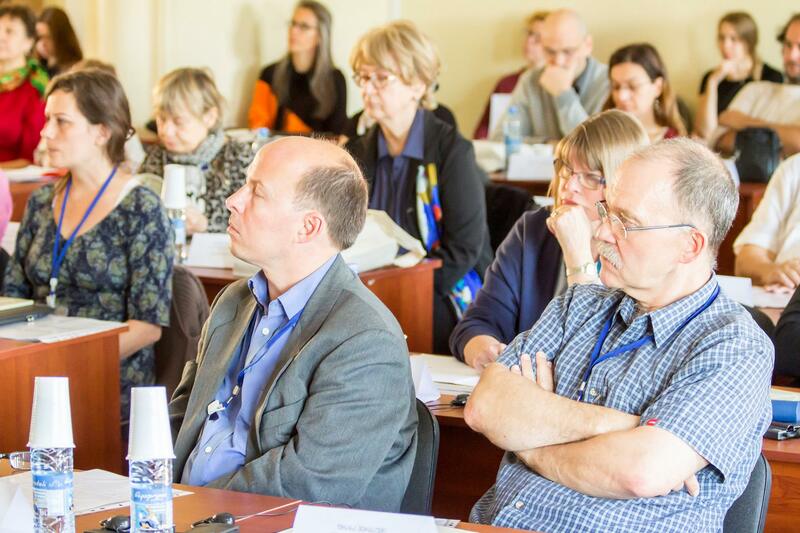 First Seminar of the ICTM Study Group for Multipart Music was held Tallinn, Estonia from19-20 September 2014. The seminar was organized by Estonian Academy of Music and Theatre Eesti Muusika- ja Teatriakadeemia. Seminar’s theme: Multipart Music: theoretical approaches on the terminology. Third Symposium of the ICTM Study Group for Multipart Music was organized from September 12–16 2013 Budapest, Hungary. Local Organiser were: Institute for Musicology, Research Centre for the Humanities, The Hungarian Academy of Sciences Budapest, Hungary. The Sixth International Symposium on Traditional Polyphony was held at the Tbilisi State Conservatory from September 24-28, 2012. The Symposium was accompanied by the series of concerts of traditional polyphony from several cultures. 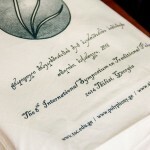 Full texts of the papers (in English and Georgian) were published in 2012 (The Sixth International Symposium on Traditional Polyphony. Proceedings. Edited by Tsurtsumia, Rusudan and Jordania, Joseph. International Research Center for Traditional Polyphony of Tbilisi State Conservatoire. Ministry of Culture and Monuments Protection. Tbilisi: 2012). The Second Symposium of the ICTM Study Group for Multipart Music was held in Tiranë and Vlorë from 22-29 April 2012. 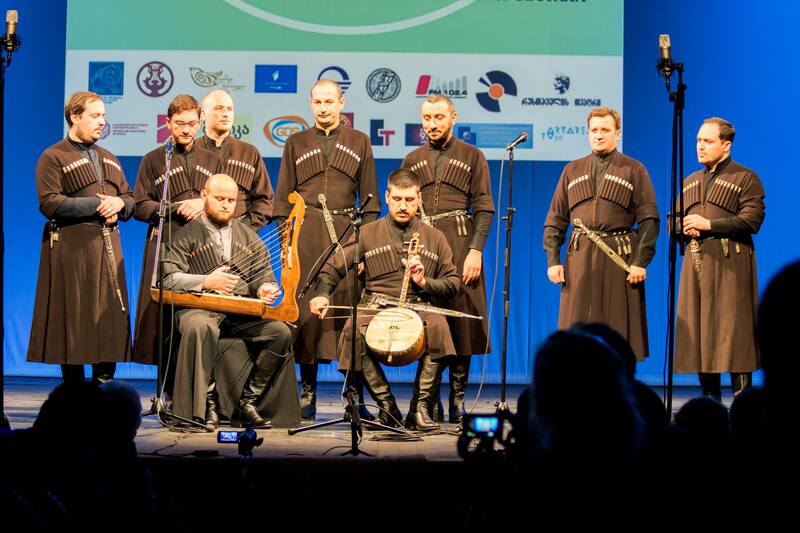 The conference was accompanied by a series of concerts of traditional polyphony from different countries of Europe. 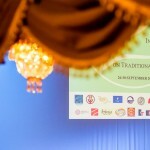 The conference was organized by Ulysses Foundation (Tiranë, Albania) and Institut für Volksmusikforschung and Ethnomusikologie Universität für Musik und darstellende Kunst Wien (Austria). Themes of meeting were: 1. Multipart music practices as creative processes. 2. Multipart music in religious practices. 3. Multipart music awarded. An ICTM Study Group on Multipart Music was founded in July of 2009 after the ICTM World Conference in Durban, South Africa. First Symposium of ICTM Study Group on Multipart Music 15-21 September 2010 Cagliari and Baronia in Sardinia, ITALY . Symposium was organized by Università degli Studi di Cagliari, Dipartimento di Studi Storici Geografici e Artistici.